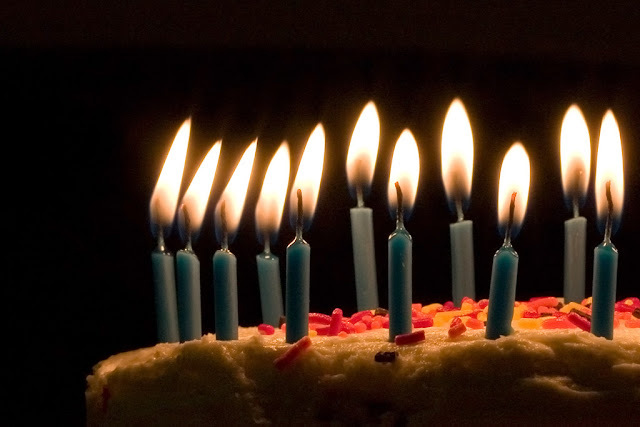 Today is the 1st birthday of the blog. You’ve been reading my rants/advice/putting up with me for a whole 365 days. there is such a thing as too much information – not everyone needs to know you found a grey hair – down THERE – although it may lead to one of your most-read posts. if you have lost your blogging mojo – don’t worry – people will wait for you – and if you read THIS blog you’ll be sitting there thinking ain’t THAT the truth. Twitter is not the place to vent to SOME people – that’s best done in a bar – and if necessary with your bat…I’M KIDDING. Jeez. Kinda. You can have too many body lotions. Bloggers are in general – great, funny, lovely, interesting people – I have made friends for life. Partial to a chicken wing and the odd glass of red. And don’t get her started on lipstick. Reads me almost as well as my Mother – in fact thinks she IS my Mother occasionally. The Hilda to my Evadne. My first port of call with my ‘What do you think of THIS?’ questions – whether it relates to the blog – or a certain wine. The only person who hasn’t known me since I was a teenager to call me Caz and not only get away with it – but I like it. Guaranteed to make me laugh just by giving me the *sideeye*. Loveliness personified – the pair of them.People who can string quite a lot of words together in an intelligent manner and also – added bonus – know how to spell. Especially Helen – a fellow metalhead with fabulous taste in long haired tattooed men. The other two thirds of my Bananarama Bat Gang. The first to step up to the plate if needed. All the PR’s that have helped me throughout the year – its a big transition going from dealing with long leads to dealing with bloggers – and 99% of you get it right every time although some like to focus on the 1% that don’t. Thank you. And to all the Brands I have worked with – thank you for trusting me and knowing that I blog because I enjoy it – not because I can break your embargo. And thank you for not flinching when I turn up to meetings in adidas trainers. You rock. All of you. Priya from Beauty Wowza for all her help with the graphics. Ailsa and the team from Beauty Bay for going above and beyond. And thank YOU lovely people for reading – thank you for the comments, the abuse, the laughs, the questions, the product swaps and the advice. As a thank you I have used my wiles, sales skills, general powers of persuasion and to be honest, good old-fashioned blackmail to bring you a gathering of my favourite products from the year as giveaways – the likes of which you may never have laid your pretty eyes on. So here’s what I suggest – get following the blog (in for a penny…) and hold on to your hats – we have giveaways coming up from: Elemis, Murad, Nars, Emma Hardie, Alpha-H, Dr Perricone, Jergens, MAC and Daniel Sandler to name a few. You’ve put up with me for this long – it’s the least I can do. Previous Post The Hall of Fame – Anne Semonin and the best facial I ever had…. Next Post Steady Ladies – It’s NARS Birthday Giveaway time. – UPDATE! Did anyone say LAGUNA?